This course will provide entry-level project managers with the knowledge and skills necessary to successfully complete the Project Management Institute’s nationally recognized Certified Associate in Project Management (CAPM) exam. This credential is considered the standard of excellence in the field of project management and is often a required credential in the field. This comprehensive course will use learning activities, practice exams, and assignments to help students prepare for, and successfully complete, the CAPM exam. ProTrain is proud to have Darrel Erickson as its subject matter expert/instructor for all project management related courses. 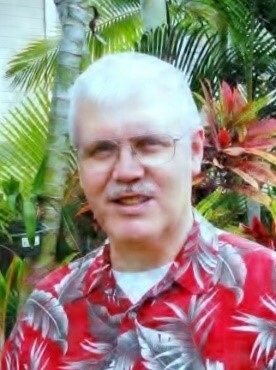 Darrel is an Associate Faculty member for the University of Phoenix, Hawaii Campus in the College of Information Systems and Technology. His areas of teaching expertise include Analysis and Communication, as well as teaching various courses in IS&T, Project Management, Technical Writing, and work in the School of Business, Operations Management and Project Management at the Graduate level. Darrel continues to teach both classroom and online Management courses for Wayland Baptist University. Additionally, he consults and provides services to organizations as they assess and implement technology projects. He is also an active member of Project Management International (PMI) Honolulu Chapter and volunteer in their Professional Development Committee and PMP Exam Prep course. Trained in formal Project Management in Undergrad and Graduate studies in Project Management, with military program and project experience, Darrel obtained certification as a Project Management Professional (PMP) in 2005. He holds a Master of Science Degree (Technology Management) and a Bachelor of Science (Management Studies) from the University of Maryland (UMUC). This course prepares the student to take the Project Management Institute (PMI) Certified Associate in Project Management (CAPM) certification exam. This lesson will provide an overview of the PMBOK Guide, as well as the concept of project management. The Relationships among Portfolio Management, Program Management, Project Management, and Organizational Project Management will be discussed. In addition, students will learn about the business value of project management and the relationship between project management, operations management, and organizational strategy. Finally, students will learn about the role of the project manager and his or her responsibilities within the organization. Projects and project management take place in an environment that is broader than that of the project itself. Understanding this broader context helps ensure that work is carried out in alignment with the organization’s goals and managed in accordance with the organization’s established practices. This lesson describes how organizational influences affect the methods used for staffing, managing, and executing the project. It discusses the influence of stakeholders on the project and its governance, the project team’s structure and membership, and different approaches to the phasing and relationship of activities within the project’s life cycle. The PMBOK® Guide describes the nature of project management processes in terms of the integration between the processes, their interactions, and the purposes they serve. Project management processes are grouped into five categories known as Project Management Process Groups (or Process Groups). This lesson provides information for project management of a single project organized as a network of interlinked processes. It details the project management processes, and includes information regarding project management process interactions and project management process groups. Project Integration Management includes the processes and activities to identify, define, combine, unify, and coordinate the various processes and project management activities within the Project Management Process Groups. In this lesson, students will learn how Project Integration Management includes making choices about resource allocation, making trade-offs among competing objectives and alternatives, and managing the interdependencies among the project management Knowledge Areas. This lesson will explore the topic of Project Scope Management. Project Scope Management includes the processes required to ensure that the project includes all the work required, and only the work required, to complete the project successfully. Managing the project scope is primarily concerned with defining and controlling what is and is not included in the project. In this lesson, students will learn the processes involved in Project Schedule Management, which refers to the components required to manage the timely completion of the project. Specifically, this lesson will address the concepts of schedule planning and management, activity definition and sequencing, estimating activity resources and durations, and schedule development and control. This lesson will provide an overview of the processes involved in Project Cost Management. Students will learn how to ensure that projects can be managed in a way that allows for completion within the allocated budget. Within this lesson, students will learn about planning, estimating, financing, funding, managing, and controlling costs for each project. This lesson will provide an overview of Project Resource Management, which includes the processes that organize, manage, and lead the project team. The project team is comprised of the people with assigned roles and responsibilities for completing the project. Project team members may have varied skill sets, may be assigned full or part-time, and may be added or removed from the team as the project progresses. Project team members may also be referred to as the project’s staff. Although specific roles and responsibilities for the project team members are assigned, the involvement of all team members in project planning and decision-making is beneficial. This lesson will provide students with the knowledge and skills necessary to perform effective Project Communications Management. This includes the processes that are required to ensure timely and appropriate planning, collection, creation, distribution, storage, retrieval, management, control, monitoring, and the ultimate disposition of project information. Project managers spend most of their time communicating with team members and other project stakeholders, whether they are internal (at all organizational levels) or external to the organization. This lesson will provide a comprehensive overview of Project Procurement Management, which includes the processes necessary to purchase or acquire products, services, or results needed from outside the project team, as well as how to close the project. The organization can be either the buyer or seller of the products, services, or results of a project. It also includes the contract management and change control processes required to develop and administer contracts or purchase orders issued by authorized project team members. In addition, Project Procurement Management includes controlling any contract issued by an outside organization (the buyer) that is acquiring deliverables from the project from the performing organization (the seller), and administering contractual obligations placed on the project team by the contract. This lesson will provide a comprehensive overview of Agile Practices, which includes the processes necessary to introduce students to Agile, the Agile Manifesto and mindset (including Annexes A1-A2), lean and Kanban principles (including Annex A3), the various life cycles of Agile projects, and Agile Implementation. Implementation topics include; creating an Agile environment and delivering an Agile environment. Students will learn the organizational considerations for Project Agile and get a sense of urgency to capitalize on Agile processes in "A Call To Action."